Are you crazy? New Yorkers are crazy, and making me more crazy! I was in line yesterday with a bunch of foodies for over an hour. Felt good to know I'm not alone in this quest to discover this new wave! 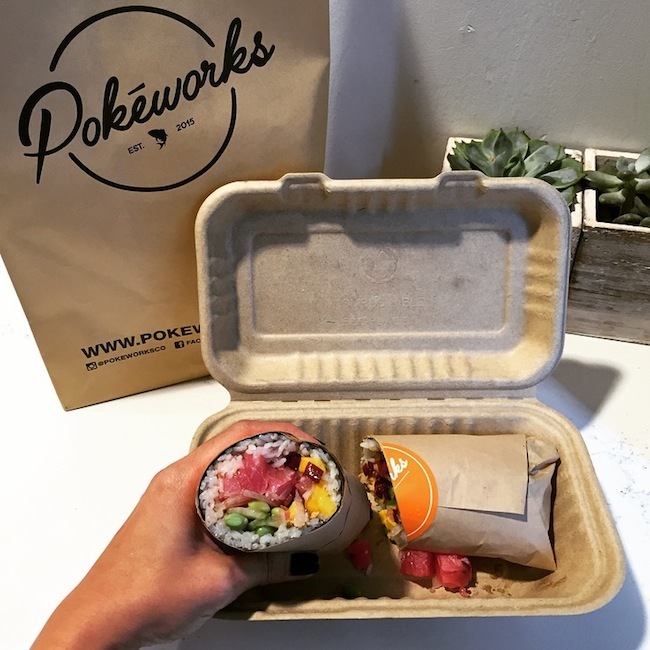 A few months ago this company from California, POKEWORKS opened in Midtown. Till today the line at lunch time was still over an hour long wait. I was shocked! 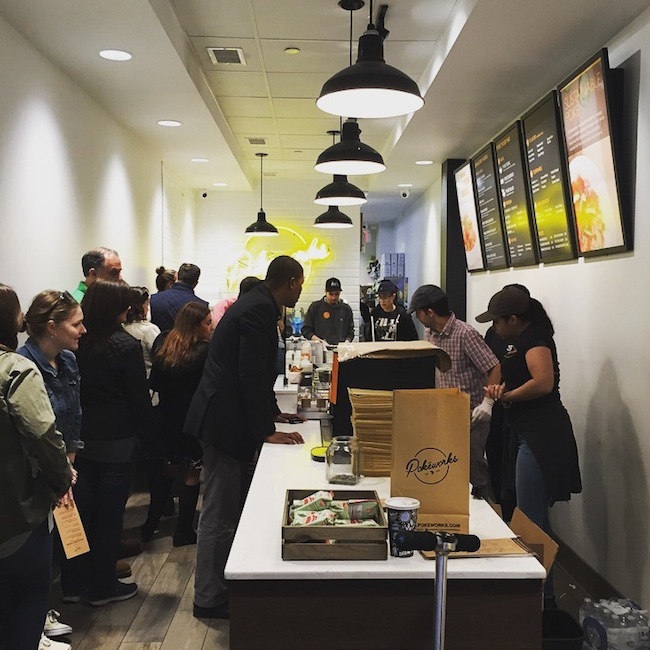 It's the hype - YES - but it's innovative, something new to town, healthy, and scrumptious. 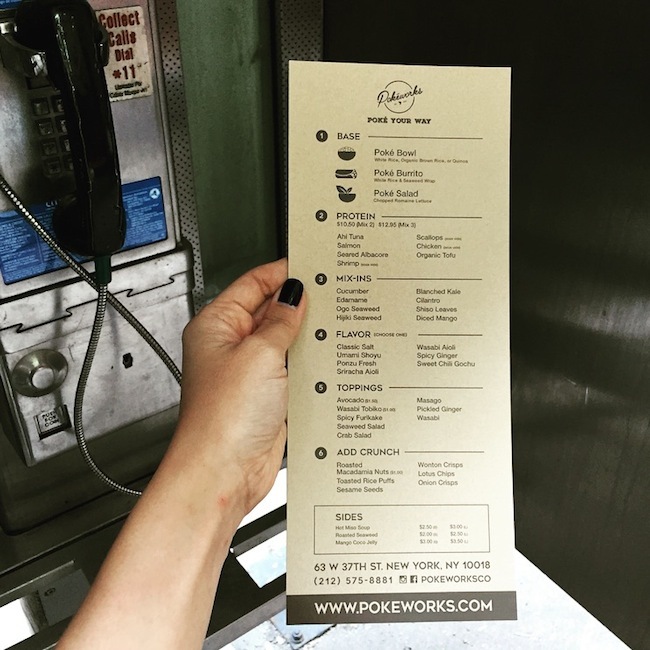 They offer Poke Bowls, Poke Salads, or Poke Burritos. This is how it works. 6 steps: You pick your base, then a protein, then a veggie mix in, then a sauce, then a topping and lastly a crunch. Or you can choose from their signature works, and add on to that if you prefer. So many great choices, set up like a salad bar, it gets mind boggling! I got the Burrito. A more appropriate name would be a Sushi - Rito! 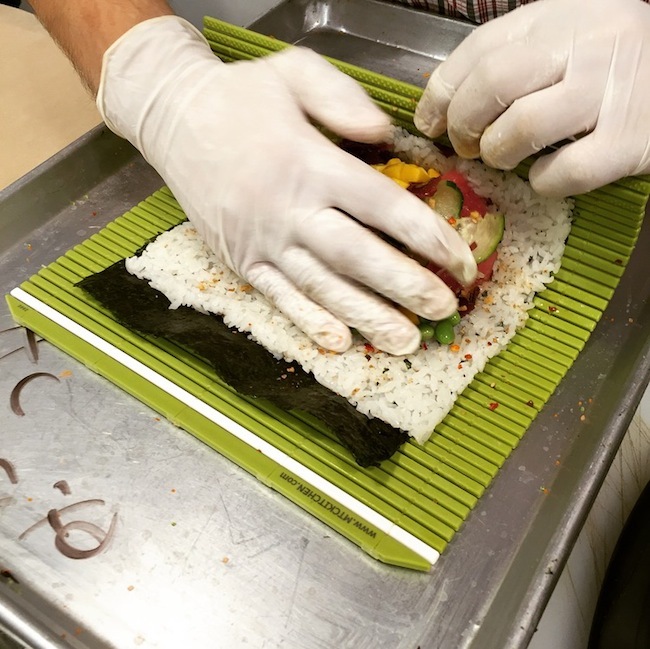 I chose the signature Hawaiian Classic which is Ahi tuna, green and sweet onion, ogo seaweed, cucumber, Hawaiian salt, chili flakes, roasted sesame oil + added mango, garlic chips and edamame, all rolled into a seaweed rice wrap. Gone in 5 minutes! It was YUM. Tasty, fresh and filling. Was worth wasting my whole lunch break standing in line for. But would I do it again? Not anytime soon! Done it, and can wait a while for my next opportunity. The line has to die down a bit before I can go again. Half an hour to stand in line would be a realistic compromise for me! But they say the line never dies. GEEZ. I guess thats why they're rolling in $30,000 a day. If you do the math with a burrito costing on average at $10.50 that's a lot of customers. Gold mine! 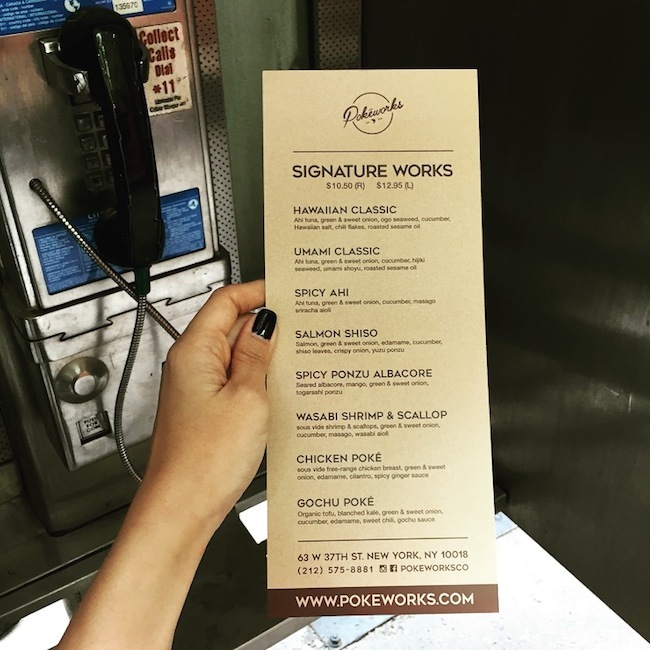 If you have the patience... go get poke'd. 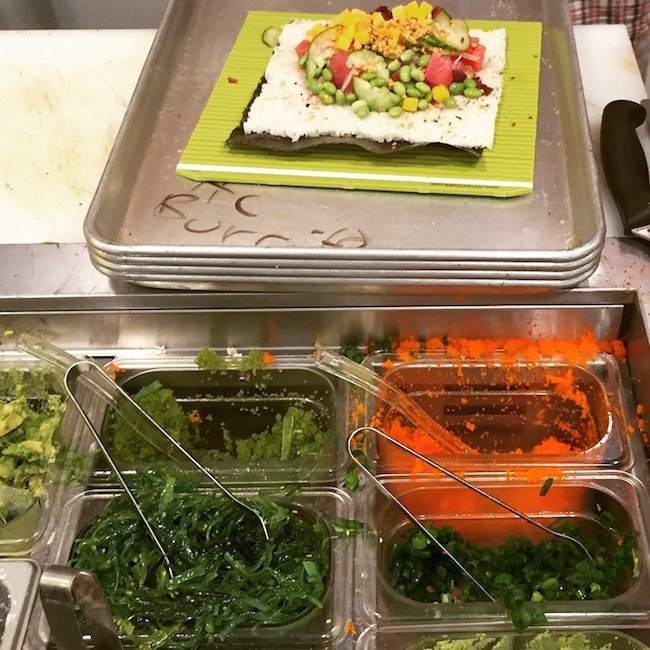 It's like the Japanese version of Chipotle! It's not really fast food, because they prepare it in front of you, but they could definitely get more people working behind the counter to efficiently quicken the pace of the line. It is an experience, and if you love sushi I say go for it! 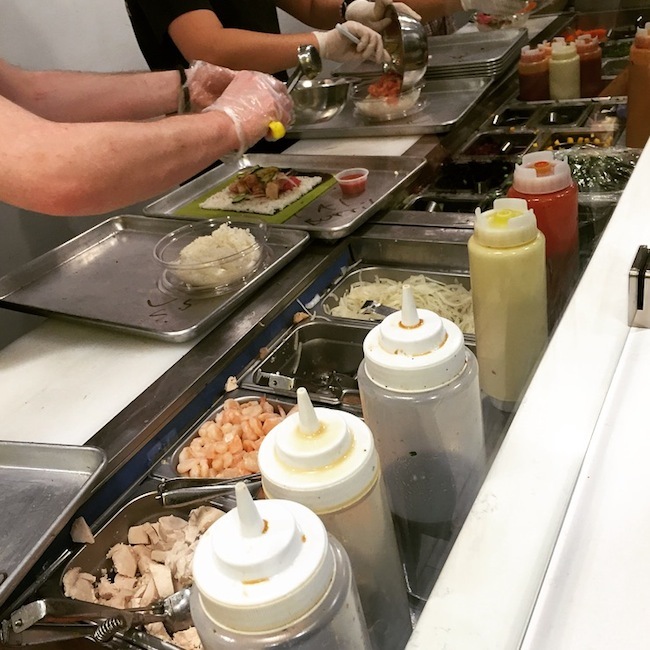 When else have you had a Sushi - Rito? Just remember don't go hungry! HA.